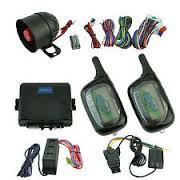 All car alarms can be divided into several categories: entry-level, low and medium level. In each category there are its pluses and minuses. Car alarm of entry-level have only the bare essentials: sound and light warning about trying to get into the car, perhaps you will find in this category alarm with integrated lock and unlock of vehicle doors, but often in this price range, there are no additional features. And there are no their own sensors in these alarms. Often manufacturers suggest that the car alarm will receive information about the condition of the vehicle from regular sensors. For this reason, you must be sure to watch the complete set of alarm, because it can happen that in your car there are no sensors. Car alarms of budget class do not fundamentally differ from the initial options. Manufacturers of mid-level alarm packages it to the maximum. You can even meet integration with other anti-theft systems such as the immobilizer and a few others.